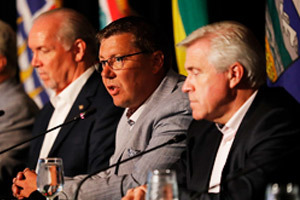 HALIFAX, July 27, 2012 – In 2007, the Council of the Federation (COF) developed an energy strategy titled A Shared Vision for Energy in Canada. It has been five years since the development of this strategy and much has changed. The commitments under the 2007 Seven Point Action Plan continue to be key priorities for provinces and territories. 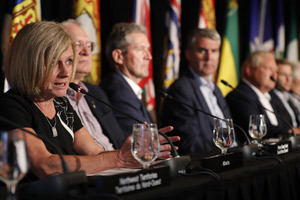 However, governments are now facing new and urgent priorities that require Premiers to renew the 2007 COF energy strategy to ensure its continued relevance to Canada’s energy challenges. 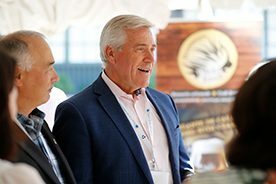 Every province and territory in Canada has different energy sources and uses, unique energy needs and priorities, and brings valuable expertise to the table. All provinces and territories share an interest in renewable energy, energy efficiency, conservation, and research and innovation. By working together, provinces and territories can create jobs and grow their economies, build manufacturing opportunities, and encourage the development of innovative energy solutions that will promote a sustainable energy future. Such collaboration between provinces and territories will build on Canada’s role as a world leader in energy. Maintain energy policies supported by effective, efficient and transparent regulatory systems. Recognize the importance of socially and environmentally responsible development, transportation and use of energy and enabling technologies. 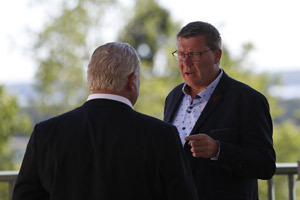 Affirm that intergovernmental cooperation is essential, while respecting constitutional jurisdiction and optimizing the strengths of each province/territory. Governments are committed to transition to lower-carbon alternatives and conservation to meet future energy needs. 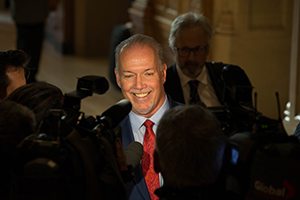 * British Columbia will not participate in this process at this time.